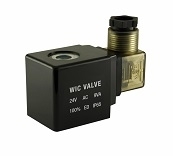 WIC Valve BESL Series Air Brass Exhaust Flow Control Silencer provides a excellent noise reduction for pneumatic air solenoid valve. High quality, easy to install. Brass Exhaust Flow Control Silencer Noise Reduce Muffler 1/2"